For many educators, summer is a time for planning for the fall. The gardening metaphor works so well for teaching. The more relaxed pace and some daydreaming time provide mental space to plot out the garden where students will think, create, share, and grow come fall. Summer is when educators look for new seeds to plant (concepts to emphasize). We research better fertilizers (resources and tools) and improved ways to till the soil (motivate and inspire learners). We also look for real-world connections that can help students build connections between school-based learning and the world outside of the classroom, library, and lab. With the midterm elections to be held on Tuesday, November 5th, fall 2018 presents an excellent opportunity for students to delve deeply into the connection between civics and (online) information—between citizenship and digital literacy. One website that supports student learning and educators’ teaching civics content is Stanford History Education Group. One the American Association of School Librarians’ 2018 Best Websites for Teaching and Learning, the site includes a Civic Online Reasoning section. Based on research evidence (Wineburg et al. 2016), the site offers online resources that educators can use to prompt students to engage in reasoning related to history content. As noted on the site, these resources are intentionally flexible so educators can “use the tasks to design classroom activities, as the basis for discussions about digital content, and as formative assessments to learn more about students’ progress as they learn to evaluate information.” The assessment prompts include historical photographs and other printed artifacts as well as social media posts from Facebook and Twitter. The two other sections of the website are “Reading Like a Historian” and “Beyond the Bubble.” The former includes lesson plans; the latter provides assessments. The lessons in “Reading Like a Historian” have been adopted by history departments in schools across the country. All aspects of the Stanford History Education Group site focus on documentary evidence as the way to validate information. If the last election cycle is any indication, there will be no shortage of (online) information that will provide fodder for civic reasoning learning experiences in the fall of 2018. Check out this site and start plotting your fall garden today! Even better, start a conversation with your school librarian and classroom teacher colleagues to collaborate to design learning opportunities for students to develop digital literacy in the context of civic reasoning. 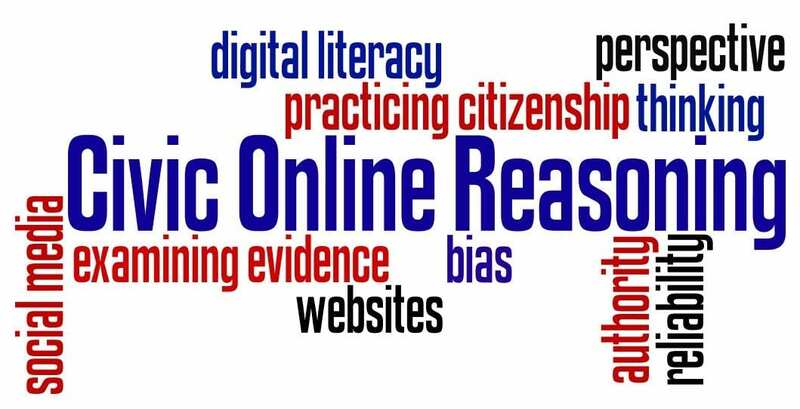 This entry was posted in AASL, Assessment, Literacy and tagged civic reasoning, digital literacy, evidence-based practice, real-world learning by Judi Moreillon. Bookmark the permalink.